erris united football club » TEN OUT OF TEN!!! 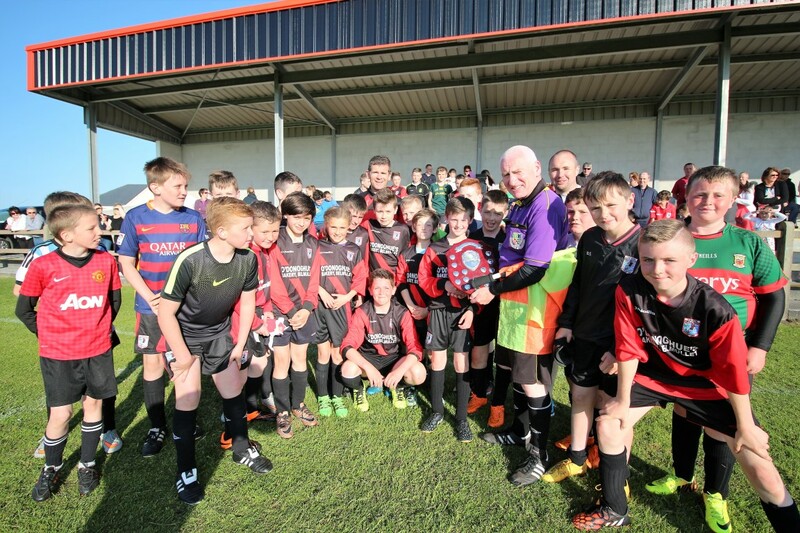 Erris under 13’s were at home to Ballina in the final League game of the season. The sun was shining and the stand was packed with parents, supporters, under 15’s, academics, junior team and fans hoping for a feast of footie. 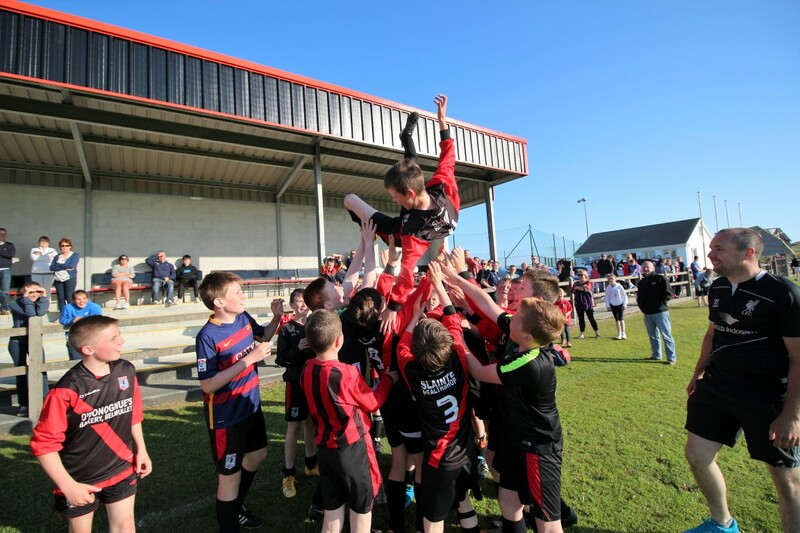 Erris under age success continues. Cian Gallagher in goal was bravery personified as he dived at attacker’s feet and climbed over them to clear corners. The breakthrough came as a bit of Ballina trickery in midfield led to a ball over the top. The high line of Erris came second in the foot race as the Ballina striker calmly slotted past the keeper. 0-1 down at halftime but Managers Lenny and Des were full of praise for their team. Quicker passing was called for and the midfield was asked to take it up a notch. The results were instantaneous. Tony Lavelle and Owen Doherty tore into tackles like a six year old opening presents on Xmas morning. Ferociously. Eoin Walsh gave a masterclass in midfield play with tackling, passing and dribbling. Ben Donohue relished the role of captain and ate before and after him. Adam Conroy broke the stats machine for miles covered as he kept all four defenders busy and Dylan Togher was like a particularly annoying rash as he was all over the centre backs. The equaliser came from Tony who battled through midfield to poke the ball home. Finally, Erris relaxed and began to play their natural pure football to show the crowd just how good they can be. Dylan scored two beauties in quick succession while Owen crossed in a late one to make it a final score of us 4 them 1. Wild celebrations followed the final whistle as there was a big bundle of all the players…apart from Molly who felt it was a bit inappropriate. Managers Lenny and Des could not describe how proud they were of every one of the squad. This team has won ten out of ten league games. To win every away game with all the travelling deserves special mention. People have delayed holidays, played with holes in their knees, played with broken elbows, put in hours upon hours of training and now it has all been worth it. Enjoy it, these things don’t come around that often and if you see any of the squad, congratulate them. Comments Off on TEN OUT OF TEN!! !